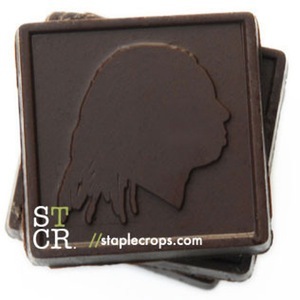 This Little Wayne Chocolate Bar by Artist Tahir Hemphill of Staple Crops/ Rap Research Lab is a statement on the commodification and consumption of Hip-Hop music and African-American creativity and culture. At $75 for a pack of three 2oz. chocolate bars, I'm not sure if you're supposed to actually consume them but I would. I couldn't resist adding myself to the list of people taking a bite out of Little Wayne. For more on Hemphill and his work check him out here.